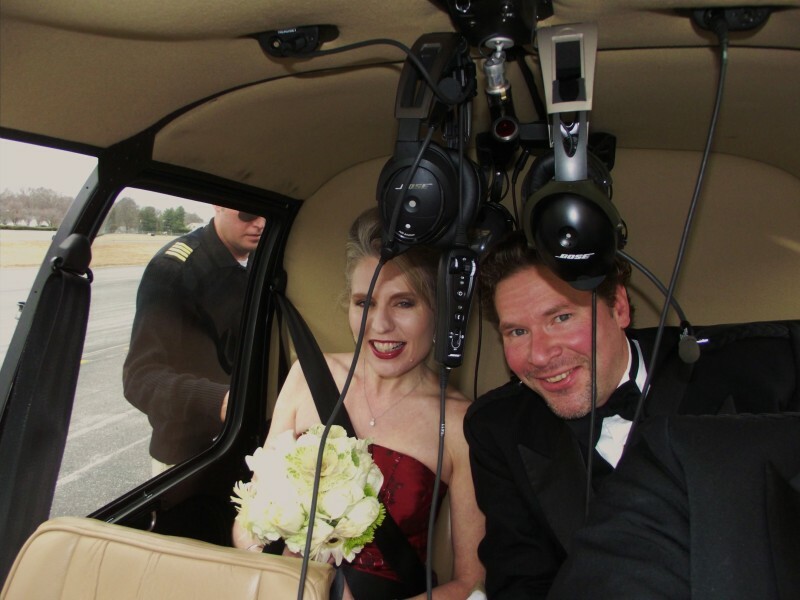 Today is David’s and my 3-year secret helicopter-versary! I know I mentioned just before Christmas that we were celebrating our 2-year wedding anniversary. Well, we did, and it’s not really a “timey-wimey” thing, we just have two anniversaries because we had two weddings. I would love to tell you all about it, since it’s a pretty cool story, but I already did, a year or so ago. That post is already so nicely laid out, with pictures and a thorough spell check, so if it’s okay by you, I’ll just share it with you again, and I’ll go enjoy my celebratory cupcake. Last year, I got secretly married. And yes, it was to David, my husband. Well, he wasn’t my husband then; he was still my fiancé. 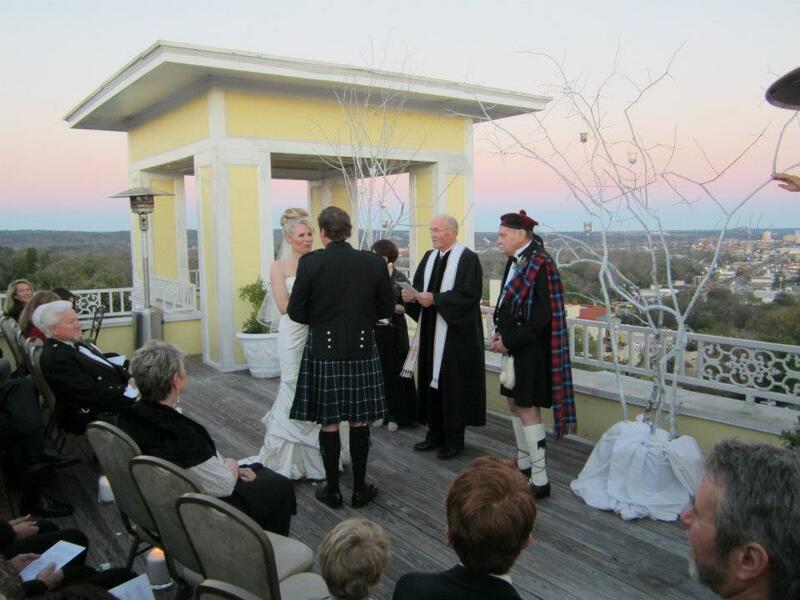 And yes, we did just have a beautiful family wedding in Augusta on December 22nd, a mere 8 weeks ago. 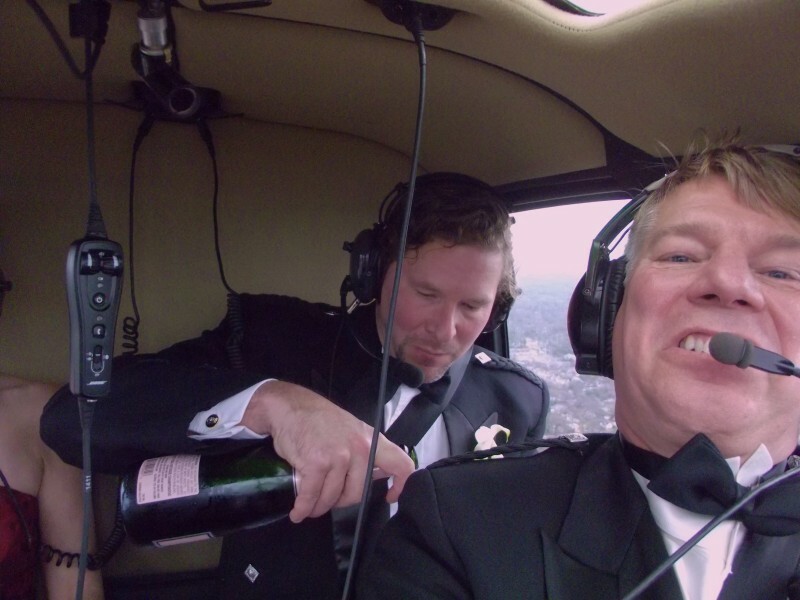 However, we also had a really awesome secret helicopter wedding almost a whole year before on January 26, 2012, known only to a few: our friend Dana (who performed the ceremony), his partner Troy, the helicopter pilot, and some random dudes we slipped up and told because we were so excited (read: buzzed). So why a secret wedding, you ask? 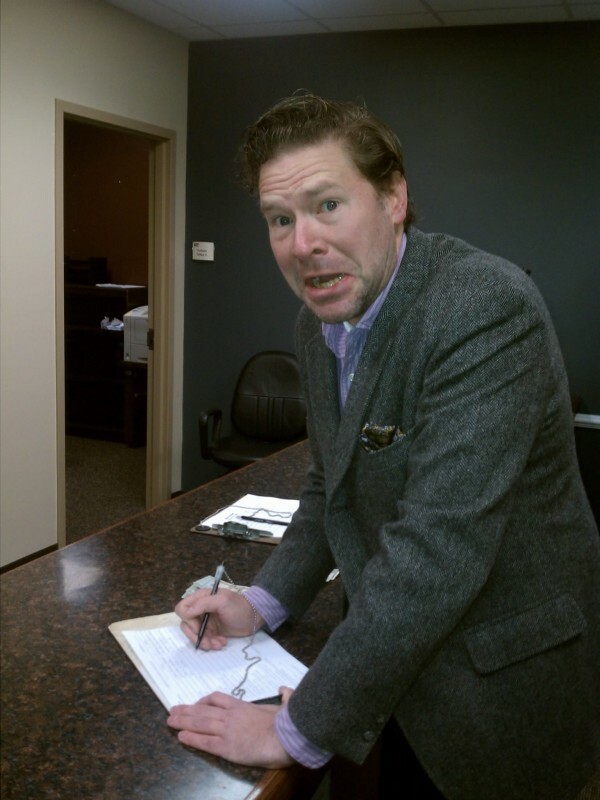 Filling out the marriage license at Fulton County. Nice, David, nice. The simple answer: David was highly stressed that I didn’t have health insurance. My job back then didn’t provide any benefits and I’d had a recent scare with an infected tooth that landed me in the emergency room. Getting married was the easiest and least expensive way to get me on his policy at work. We were already engaged and overwhelmingly excited about planning our dream wedding. We didn’t want to take away any of the fun for us or for our families. We just needed to satisfy a legal requirement so I could get reasonable coverage. His initial plan was to go to a Justice of the Peace, quickly and quietly, with no fanfare. I’m sorry, but have you met me? 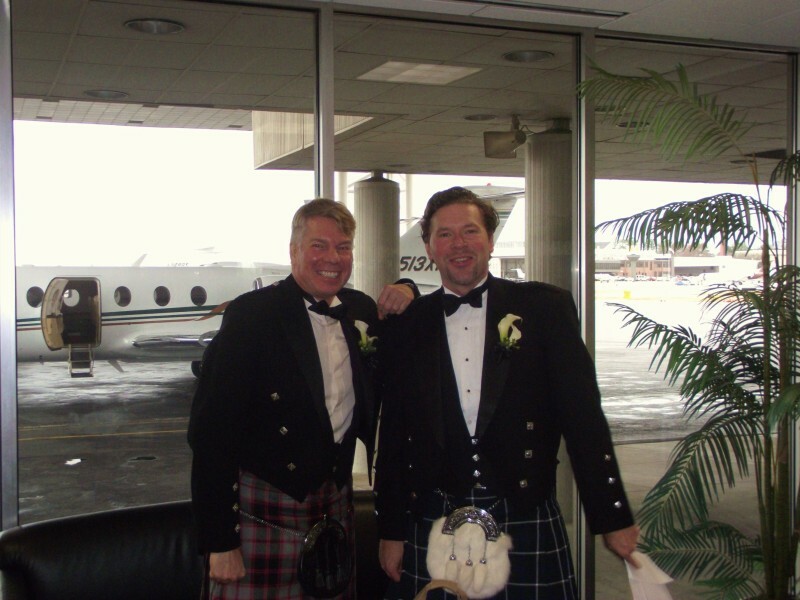 As incredible it was to me that David loved me so much he couldn’t bear me not having insurance; I, in turn, just couldn’t see doing anything as wonderful as getting married to this man in a dreary government office. 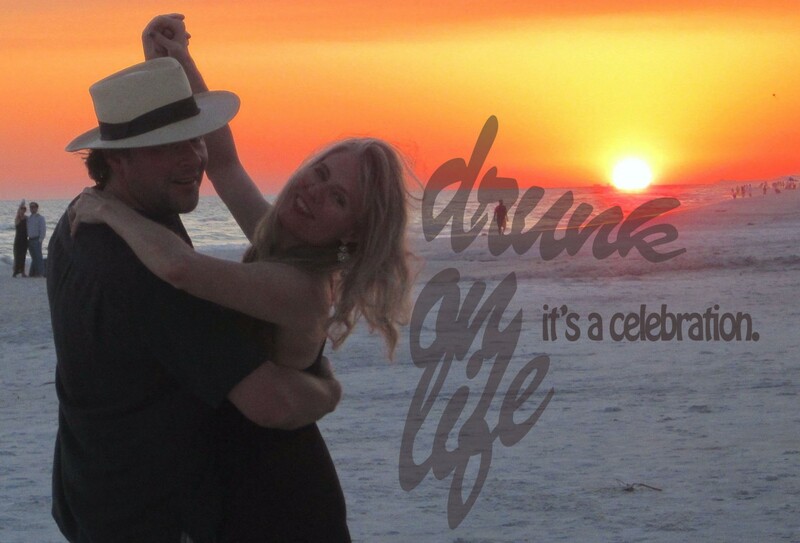 Even though it was only a formality, I couldn’t understand not glamming it up a little – after all, we waited a really long time to find each other and our entire history has been a string of magical moments. This, of all things, should be fabulous. What’s cooler than a helicopter? 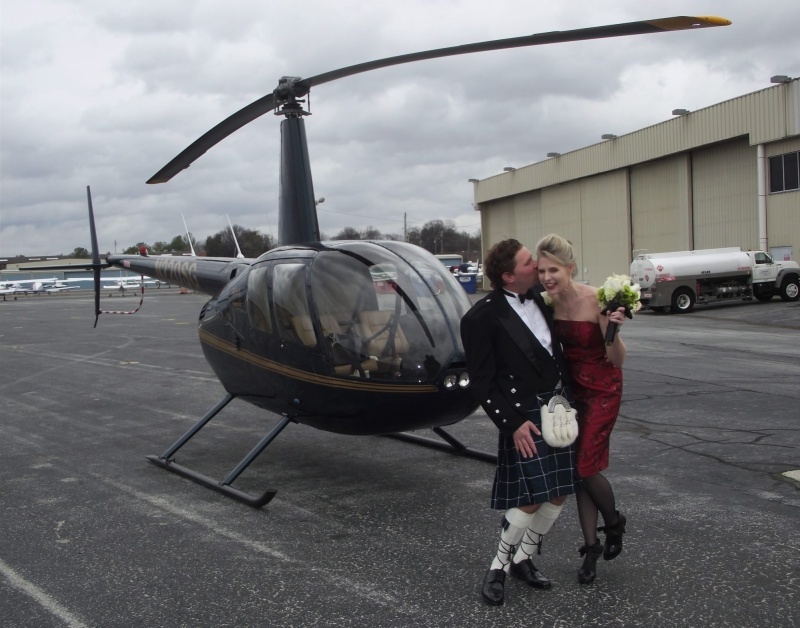 For about the same cost as a Justice of the Peace (they are actually pretty expensive), I argued; we could get married on a helicopter! 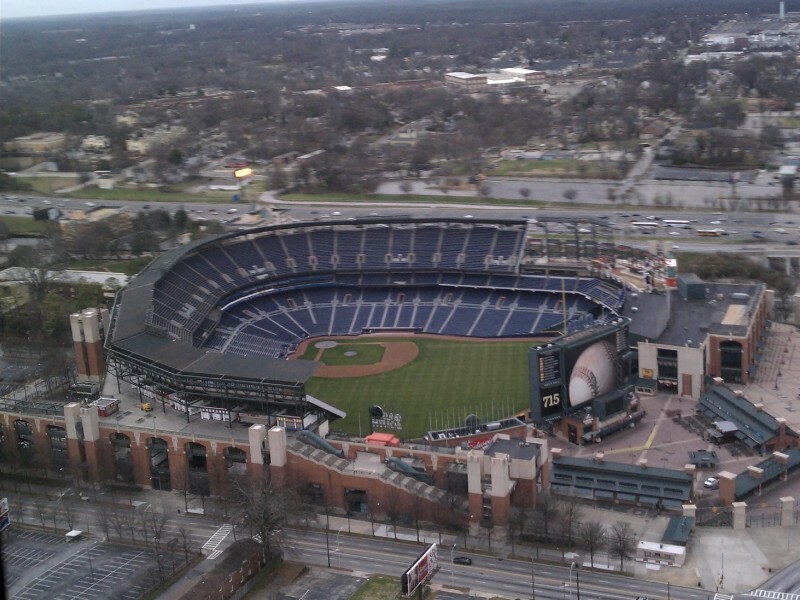 A few weeks prior, I ran across a Groupon for a helicopter tour of Atlanta and it planted the idea in my mind. 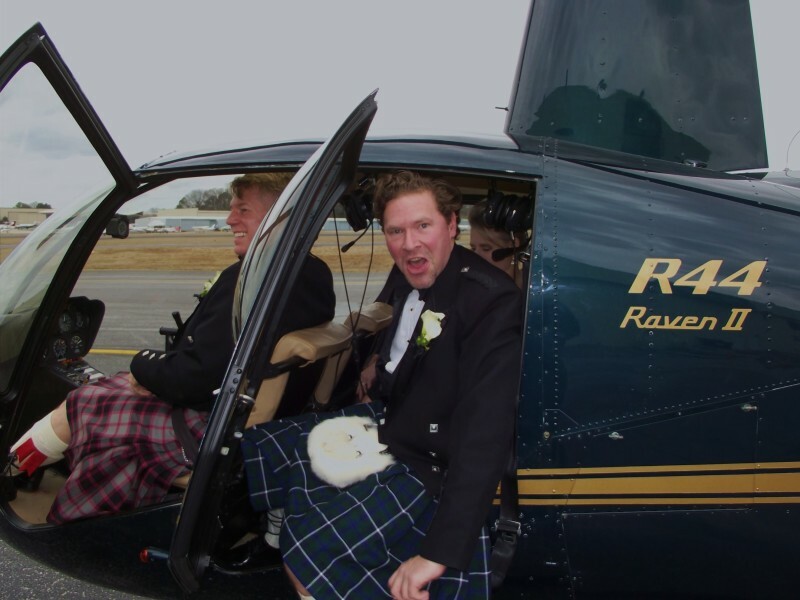 I had wanted to take the flight with David as a romantic date, but what’s more romantic than getting married high in the sky? Still, why keep it a secret? Again, we didn’t want to take anything away from the celebration we were planning with our families. David’s Dad had been recently diagnosed with lung cancer and our wedding was to be a glorious gathering of our nearest and dearest, with him as Best Man. Neither David nor I wanted to diminish any of his joy and excitement. Plus, our families, amazingly, adore each other, and everyone was flat out thrilled that they would be spending time together. Happily, our dear friend Dana was delighted to get ordained on-line and perform the ceremony. In equally fortuitous circumstance, he had actually purchased the aforementioned Groupon for himself, hadn’t used it, and was willing to donate it to the cause! Even though we promised ourselves we wouldn’t go overboard planning, we still KAVIDed it out. 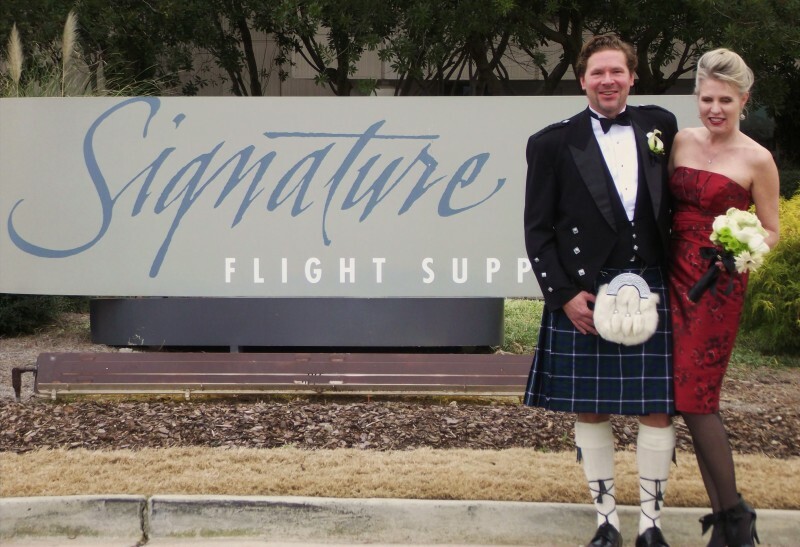 I picked up flowers (lilies,hydrangea and roses) at Whole Foods, made boutonnières for David and Dana and a gorgeous white and green bouquet for myself, wrapped in satin ribbons and adorned with my Clann Ferguson kilt pin. 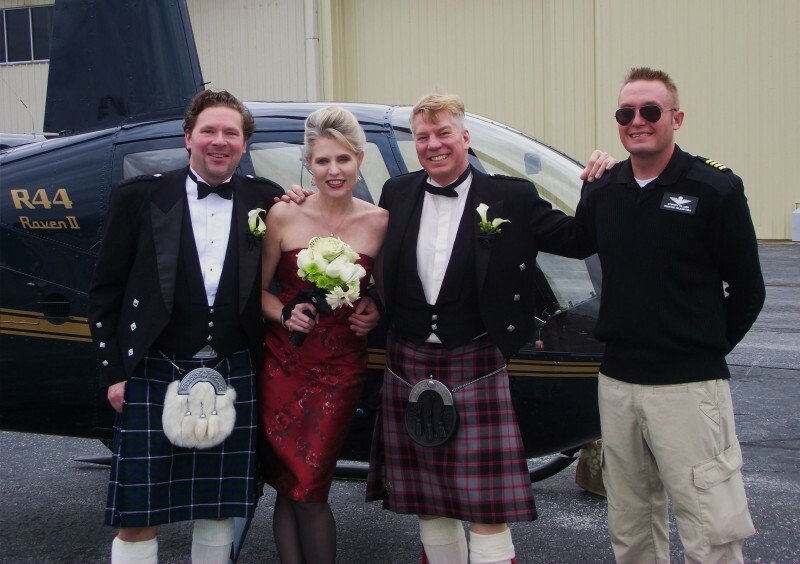 I also indulged my fantasy of a red wedding dress (swoon) and David and Dana broke out full Highland regalia, donning their kilts and Prince Charlies for the occasion. The day was a little grey silver, but calm and clear pre-flight. 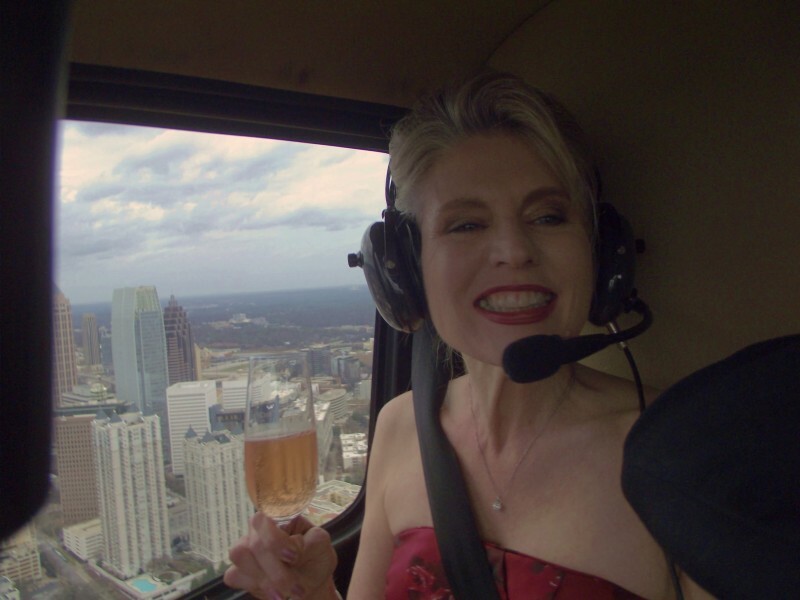 The pilot gave us an amazing tour of the city, heading east to circle the granite monolith of Stone Mountain, before cruising downtown as far as south as Turner Field, buzzing by the Sun Dial at the top of the Westin (ha! – had not one drop of prescience that I’d be working there six months later!) 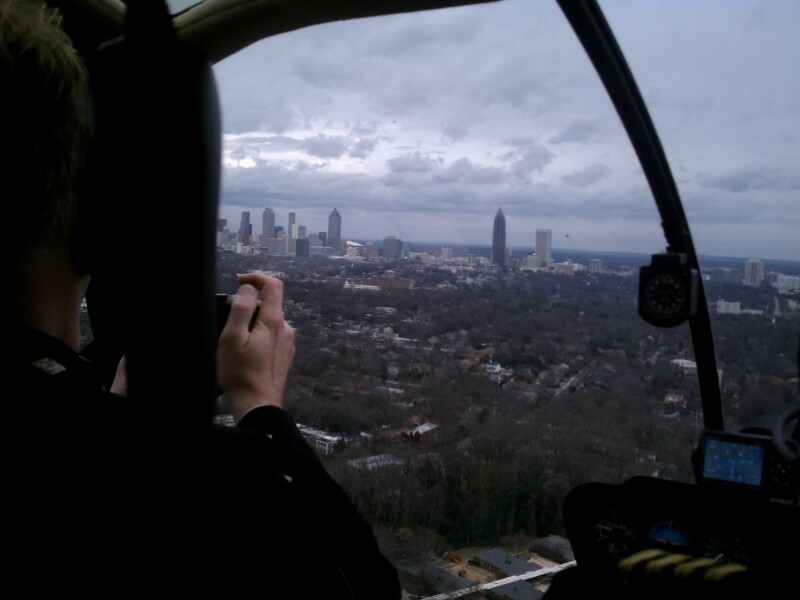 then circling back to the Old Fourth Ward, flying over my condo on the way to Midtown. 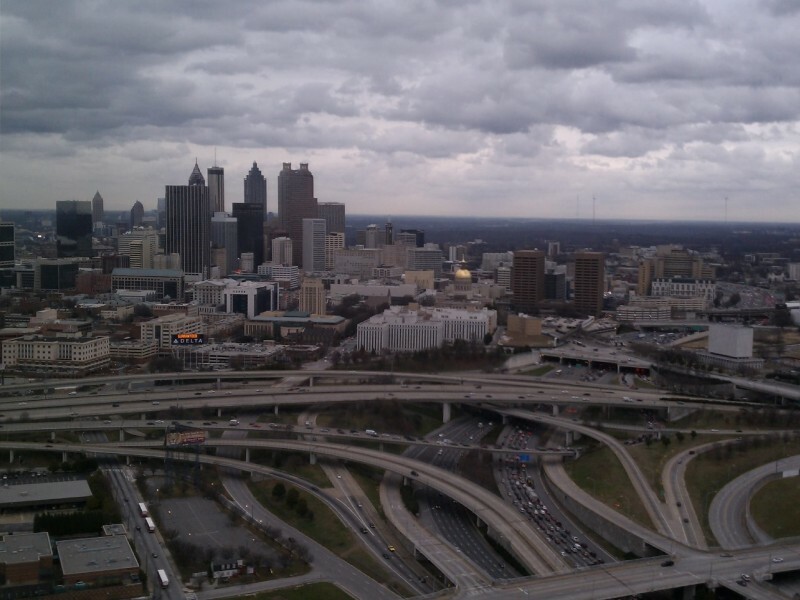 At Piedmont Park, the site of our first date, we hovered over Lake Clara Meer for the ceremony. Getting ready for vows and toasts! Remember, anything beautiful that you have, came from God. In the beginning, God gave us our free will and our identity to walk this earth. Don’t ever try to change each other, because if you do, you will lose exactly what you fell in love with. So, each day try to find one more thing that is beautiful in your mate, and each day know that the next day will be more beautiful than the one before. As long as you are doing this, you are seeking beauty, joy, and love in each other. Just like that, we were married. Man and wife. And chopper. And then the hard part: Trying to keep it a secret. 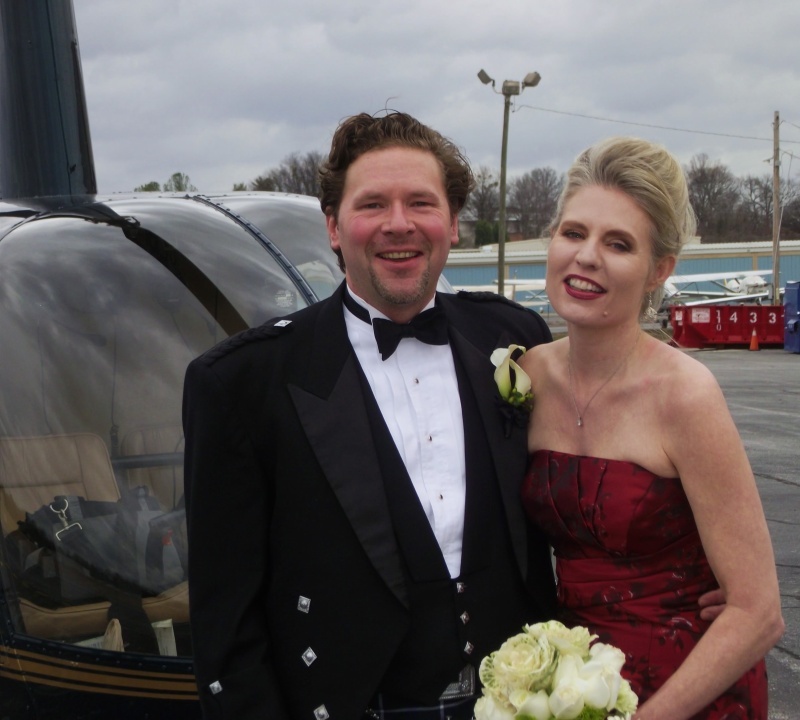 This entry was posted in Wedded Life and tagged helicopter, unusual weddings, wedding anniversary. Bookmark the permalink. Awwww…..I’m crying! Everything all wrapped up together, I guess , you, David and Dave. I’m crying for happiness. For love. For the loneliness for Dave being gone. Oh Linda, it wasn’t my intention to make you sad! Sending you hugs and lots of love. Thank you so much for being my Mom-in-Law. This is awesome, Kimi. 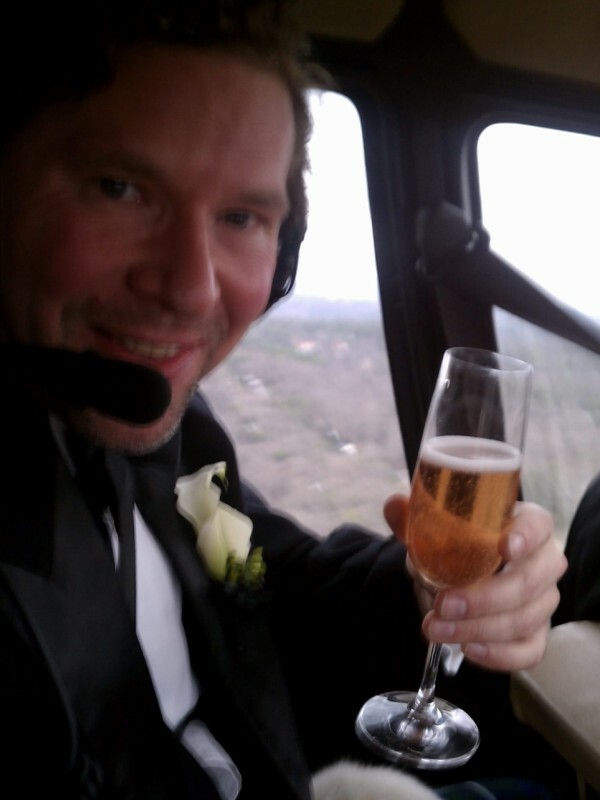 Congratulations to you and Dave on your third whirly anniversary! I wish we’d known Edward at the time. We could have had him ordained instead of Dana. I’m sure he would have cut to the chase and given us a really sharp ceremony!